Gavriel Rosenfeld is a contributing author, "Saul Friedländer", volume 7, pp. 275-76. Book description: Provides an exhaustive and organized overview of Jewish life and knowledge from the Second Temple period to the contemporary State of Israel, from Rabbinic to modern Yiddish literature, from Kabbalah to "Americana" and from Zionism to the contribution of Jews to world cultures. Rosenfeld, G. (2006) Biographical essay on "Saul Friedländer", in: Encyclopedia Judaica, Second Edition (2006), Volume 7, pp. 275-76. 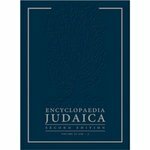 Skolnit, Fred and Rosenfeld, Gavriel D., "Encyclopedia Judaica, Second Edition" (2006). History Faculty Book Gallery. 18.